3PP is proud to present this interview with Professor Marcia B. Hall, art historian and Director of Graduate Studies at the Tyler School of Art at Temple University. Marcia's work is a source of great inspiration to scholars and students alike. 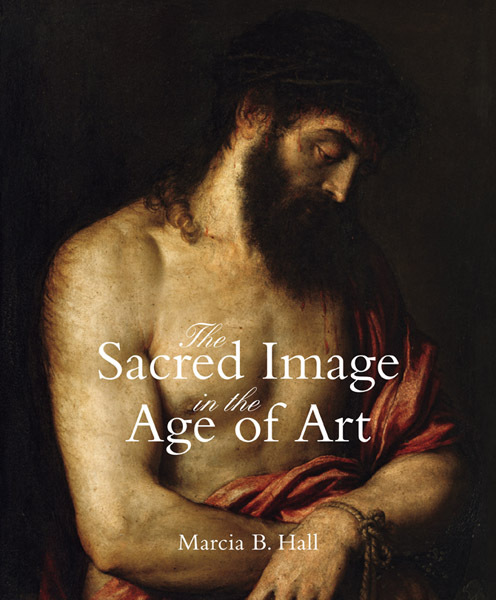 Following the tremendous response to the review posted for The Sacred Image in the Age of Art, I invited Marcia to answer some questions about the book, as well as explore some of the challenges facing the discipline of art history. 3PP: Your new book The Sacred Image in the Age of Art was a deeply rewarding experience to read. Was it challenging to research and write? MH: Well it took a long time! The ideas evolved slowly. I only recognized after I got into the topic that I needed to address the way the devotional image evolved in the course of the Renaissance. I found myself revising my perspective on paintings I regularly study and teach when I viewed them from the selective perspective of how they functioned in a devotional context. I found myself a little bit in sympathy with Savonarola’s fiery denunciation of those certainly splendid works of art of the late Quattrocento that nevertheless had strayed a long way toward celebrating the opulence of the secular world. Not a popular point of view in today’s secularized world, to be sure. 3PP: What was the original impetus for the creation of this work? Did you identify a gap in established scholarship on this topic? 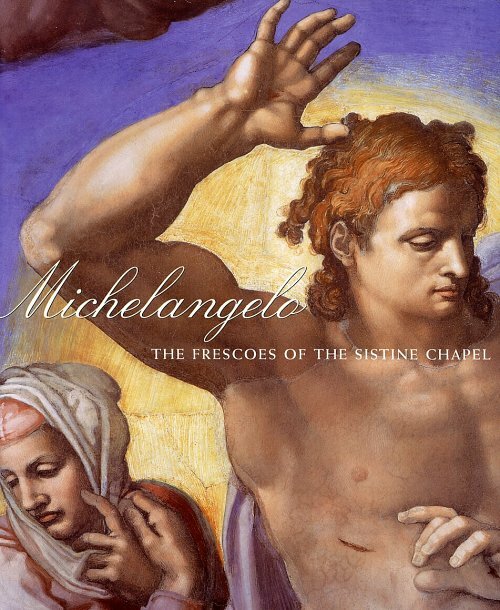 MH: I began with the post-Tridentine painters and the dilemma they faced in creating sacred images that had to satisfy both patrons who, by this time, had come to expect sophisticated works of art, and the Church that was now suddenly requiring images that would promote devotion. Unlike a lot of scholarship I took the requirements of the Church to be legitimate, as I believe the Renaissance patrons and painters did. When I looked at my five painters (I could have chosen some others, but these were exemplary) I didn’t see a conservative and backward looking art, as the Counter-Reformation before the Baroque was generally described. I did see plenty of boring painters making pictures for churches in this period, to be sure, and I have dutifully written about them in earlier books. This time I wanted to take seriously the contribution to sacred art of late Titian, Tintoretto, Barocci, El Greco, Caravaggio, who are acknowledged masters, but not sufficiently valued for their solutions to the dilemma of the post-Trent era. 3PP: Renaissance art scholars are often regarded as a somewhat aloof and inaccessible group. This does not seem to apply to you or your highly accessible style of writing. How would you describe your approach the history of art? MH: I believe that writing should be lucid. I hate jargon and any writing that hides behind difficulty. I really believe if the expression is difficult to penetrate then the writer hasn’t thought through their ideas. 3PP: I found your use of the Shklovskian Formalist concept of 'estrangement' to be refreshing and cleverly implemented, allowing quick and easy identification of sections where you described artists' use of visual devices to promote ambiguity and discussion. What made you decide to include this term? MH: When I “invented” the concept I didn’t know its history. I was trying to find a way to talk about how artists indicate meaning by violating the viewers’ expectation. In a style that is essentially ‘realistic’, making strange is a wonderful visual tool. 3PP: Great parallels of the overall structure of 'The Sacred Image' with a scientific modus of reporting are quite apparent. 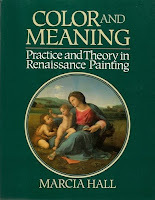 Your 1990 volume with John Shearman for the Raphael Princeton Symposium - subtitled "Science in the Service of Art History" further highlighted this. What do you see as the role of science in art history? 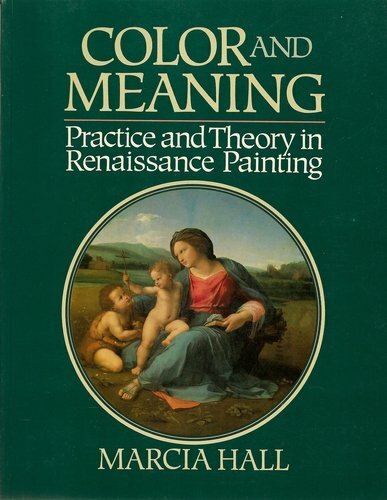 MH: In my earlier book, Color and Meaning, which I was writing when I suggested to John that we do the symposium on Raphael, I studied the process of making Renaissance paintings. I used the literature of conservation and the scientific examination of paintings to reconstruct the way painters used their materials and how it changed in the course of the period 1300-1600. I believe that studying and understanding materials is the unique domain of the art historian. Scholars from other fields can study iconography or use artists’ images to illustrate their narratives, but we are the ones who make sense of stylistic change and understand how the use of materials affects meaning. 3PP: Your piece on berfrois on the paradox of limited freedom applied to artists was fascinating. It was refreshing to see this work online - where it can inform and inspire an audience beyond the closed readership of a specialist journal. Do you see engaging a broader readership online as a valid and practical experience for art historians? MH: I loved writing that piece because it stretched me to consider the broader implications of what I have studied. Art historians rarely get a chance to be heard outside their fenced domain. 3PP: Given the global trend of funding cuts to humanities programs - what is your advice to young people interested in art history, but worried about its ability to secure employment? MH: Are you assured a job these days if you study anything? You have to look seriously at what you can imagine spending your life doing. Follow your passion. 3PP: Can you describe a formative experience that led to your interest in art history? MH: My half brother, Peter, much older, would take me to the Met and MoMA when I was about 8 or 9. He’d say, “Who’s that?” and I’d say, “Renoir” or “Monet.” Then we’d go stand in the middle of Park Avenue and identify cars: “Studebaker 1948” or “Packard 1947.” That was how I learned to distinguish stylistic differences. 3PP: A more portable edition of The Sacred Image would be supremely useful - are there any plans to release a paperback or electronic version? MH: Yale doesn’t usually issue paperback editions for books like mine that are lavishly illustrated. It’s a costly enterprise, subsidized by numerous grants. Art history is probably the leading discipline that cannot be adapted to online publication because of the problem of permissions for reproductions. As it stands now, often the owners of the images make more money than the author. Maybe even than the press. Nice interview, H, and there's something rather wonderful about a review / interview format, where the latter can pick up on issues raised in the former. Cheers Ben - I really love the idea of being able to follow up the ideas with the author of a book directly - especially for a title that has really impacted on the way one approaches a topic. I was very fortunate in this instance to be able to do this with Professor Hall. An informative interview. I heard Professor Hall speak at a conference two years ago and she was like a breath of fresh air. Rather than overlooking or denigrating "sacred" art, she takes it seriously and understands that these themes inspired some of the world's greatest art. What a great interview! Hall's comments really emphasize the apparently thoughtful analysis that went into her book. I haven't read her book yet (although I have read this post on "Berfrois"). However, I look forward to reading "Sacred Image" over the summer break (especially the part on Caravaggio!). Hear, hear for approachable art historical writing! A revealing interview from an eminent art historian. 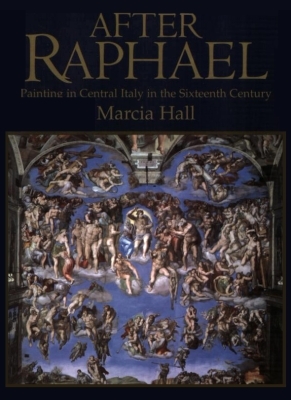 I've always admired Marcia Hall's books on renaissance topics. I'm heartened by her comments on making art history more accessible, something that is very difficult to do for a variety of reasons. I was also pleased to read her comments on the problems of image grants and permissions. Having been recently clobbered for a forthcoming article, I know exactly what she's talking about. I'm surprised to learn that art books are the least likely to be adapted to the online world when it would seem like it would be the easiest. Yet I can only imagine what a nightmare it would be to manage the approvals/budgets for permissions. Yikes! Great obseravtion Vicky - it's a terrible paradox - where visual reproductions best suited to these new technologies are hampered by some very old fashioned copyright restrictions. In the world of music and literature, the general guidelines for public domain transition are 70 years after the death of the author - yet in the image permissions game, galleries continue to charge great fees for works centuries old - works in some cases they acquired during wartime or the results of plain thievery. The landmark legal case or Bridegman vs Corel was a great step forward - it's only a matter of time until public domain law encompasses images as well. I was so pleased to read this interview after stumbling upon the title of Professor Hall's latest book on the internet. I was a student of Ms. Hall's at Tyler School of Art. I learned a lot about "High Renaissance Art in Italy" and enjoyed her class immensely. Welcome to 3PP! You are very lucky to have been a student of Professor Hall's. What a dream class to attend!